Luka Rocco Magnotta, charged with first-degree murder in the killing and dismemberment of Jun Lin, landed at Quebec's Mirabel airport behind a wall of security. Luka Rocco Magnotta, charged with first-degree murder in the killing and dismemberment of Montreal university student Jun Lin, has been returned to Canada to face justice. Magnotta was flown from Germany to Quebec's Mirabel airport by military plane on Monday, in a highly controlled and secretive extradition operation orchestrated to minimize media attention on his return. Even Montreal police got last-minute details about the flight, said Cmdr. Ian Lafrenière. "Some people have been following the victim's family," he explained to reporters at the airport. "We wanted to avoid a media circus." Federal justice ministry authorities confirmed Magnotta's extradition earlier Monday, and said he was restrained during the flight, under the watch of six Montreal investigators and other officials. The military plane landed at 6:52 p.m. at Mirabel, and taxied toward a crush of emergency vehicles and police cars with flashing lights. Magnotta emerged from the plane about 10 minutes later, wearing dark pants, a green shirt and white shoes, as armed officers stood nearby. The 29-year-old was whisked away in an unmarked van to a Montreal police operational centre in the city's north end, near Crémazie Boulevard and St-Hubert Street. He'll be held there overnight, before his scheduled arraignment on Tuesday. Magnotta has to appear in court within 24 hours following his extradition, in keeping with Article 503 of the Criminal Code of Canada. He faces five charges, including first-degree murder and threatening federal politicians, following the killing and dismemberment of Lin, a 33-year-old Concordia University student. Investigators will begin formal interrogation now that the suspect is on Canadian ground, Lafrenière said, noting that the victim's head is still missing. "We'll do everything to find it out," and help Lin's family in their mourning. Magnotta was arrested in a Berlin cybercafé on June 4, after a global manhunt. Two high-profile Crown prosecutors have been assigned to his case: Hélène Di Salvo and Louis Bouthillier. Lin's family arrived in Canada earlier this month. 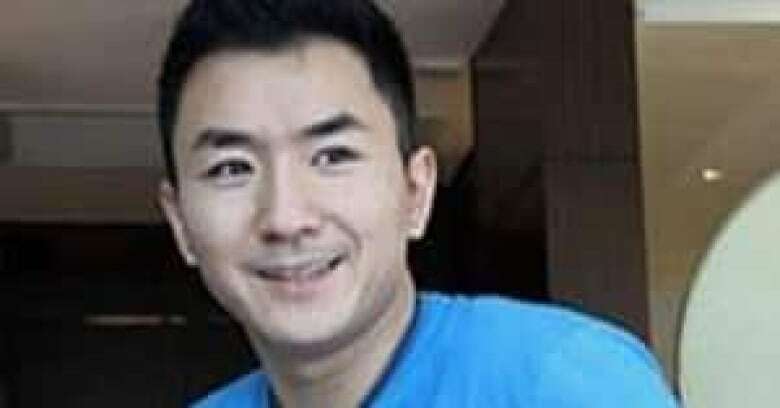 In an open letter posted on a Chinese-language website last week, Lin's family expressed gratitude to Canadians for the outpouring of support and assistance in the wake of his killing. In the letter written in Chinese, Lin's family said he was their "pride and joy" and that losing him had dealt them a "destructive blow" and left them at the "breaking point." Lin's dismembered torso was found in a suitcase outside a Montreal apartment building last month. Police later recovered his hands and feet, which were mailed to the headquarters of the Conservative and Liberal parties in Ottawa and to two schools in Vancouver in the days after the killing. Can Magnotta get a fair trial? Do you avoid disturbing news stories?